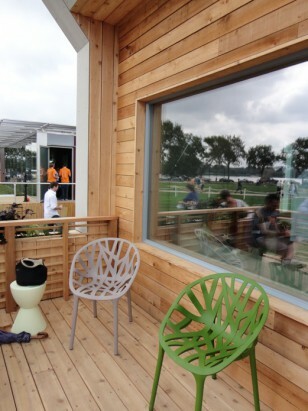 Teaming up to create an admirable civic effort, the Parsons New School for Design and the Stevens Institute of Technology built a home called the emPowerHouse for the 2011 Solar Decathlon. It is destined to be in the neighborhood of Greater Deanwood, outside of Washington D.C. 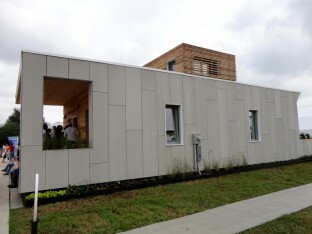 The Parsons New School of Design and the Stevens Institute of Technology designed and built the Solar Decathlon home destined for the Greater Deanwood neighborhood outside of Washington D.C. 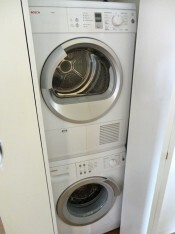 The home was also built in partnership with the Washington D.C. Habitat for Humanityand the D.C. Department of Housing and Community Development. 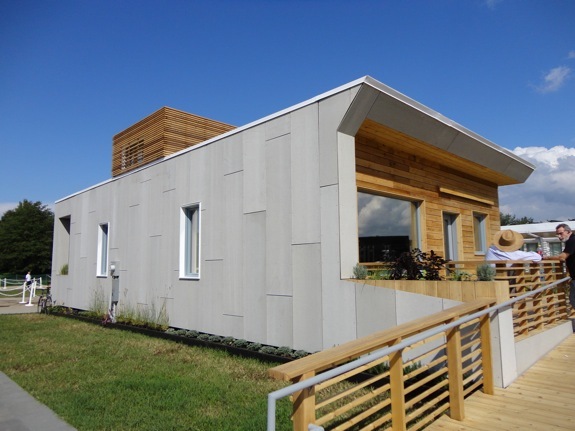 The Solar Decathlon home is moving to the Deanwood Community. Meetings were held with community residents to guide the overall design of the home. 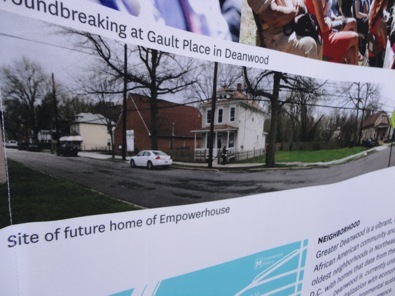 Demonstrating that efficient homes are for everyone, the home eventually will be moved to the community of Deanwood. At the time of writing, this has not yet been done. It has been a great learning experience for the students and it’s no small feat to coordinate, built, refine, then move a house to a new location. The street facing north porch was shaded and was a welcoming space for socializing. The north deck that faces the street allows for community involvement and socialization, while the deck on the southern side of the house is more private and has space for storage. 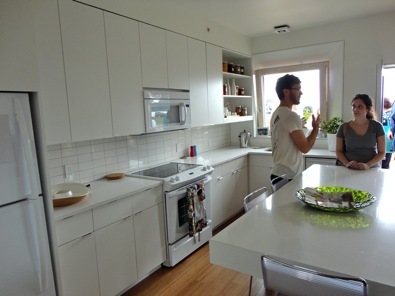 The kitchen had energy efficient appliances, wooden floor and had an ample amount of counter space. The living areas of the house were predominantly white in color, which reflected the light to create a cheerful atmosphere, even on an overcast day. This is not a passive solar house. Similar to inefficient houses that have the garage on the south side of the house, this house has plans for a storage shed on the southern side. It was, however, built on the passive house standard, whose philosophy is to build a very insulated, energy efficient house. 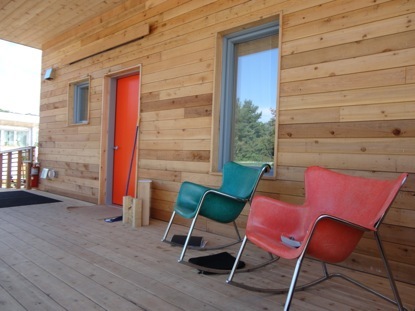 It has ultra-insulated walls along with energy efficient windows. 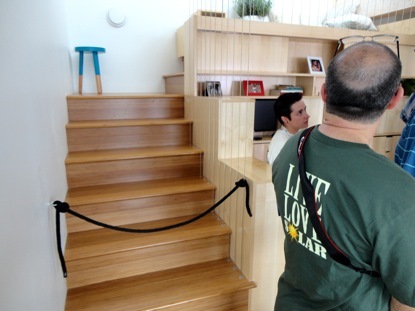 Stairs up to the mysterious ‘Light Loft’ area. A second story was built onto the house and called a Light Loft. During the tours, a roped-off stairway led to this area, however, I’m not sure if it would have been another conditioned living space, or if it was simply a large skylight. They utilized an energy recovery ventilation system with a heat exchanger that either heats or cools the incoming fresh air with the temperature from the old stale air as it leaves the building. This saves energy by transferring the temperature thereby not having to expend large amounts of energy to heat or cool the incoming air. By building an insulated house and by utilizing energy efficient building materials and appliances, this house is built to use only approximately 10% of the energy that a typical house uses. 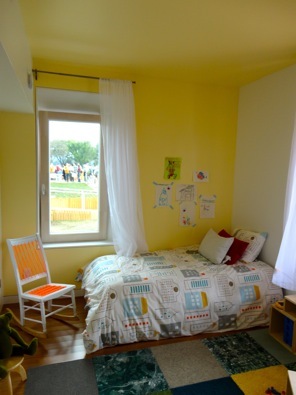 A children’s bedroom in the Empowerhouse. Based upon that statistic, this would be a great way to build energy efficiency into neighborhoods across the country. The 1000 square foot house also has photovoltaic panels on the roof of the house that help to supply the house with energy. This was an important contribution to the 2011 Solar Decathlon as it combined a social activism with the practical need for housing. 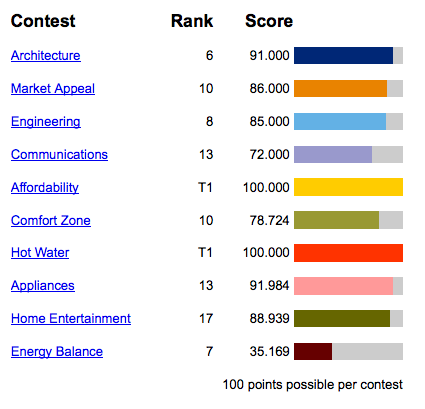 The team tied for first place in both the categories of Affordability and Hot Water. Take a look at the pictures in the gallery and the video below. See the original model of the emPowerHouse entered into the 2011 Solar Decathlon.